We already have Ronda Rousey playing Sonya Blade so why not add another known celebrity to the mix. 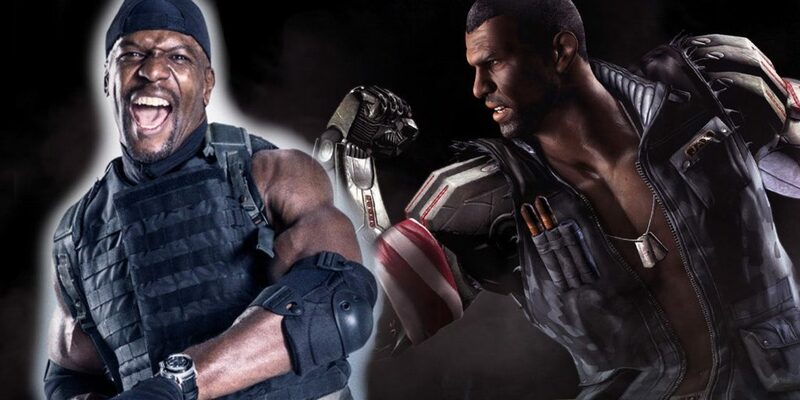 Mortal Kombat 11 director and creator Ed Boon is interested in making Crews the new Jackson Briggs for the latest entry in his nearly 30 year old series. Artist BossLogic earlier this week reimagined the Brooklyn 99 actor as Jax. Not long after seeing the post, Terry Crews himself took to Twitter, expressing his desire to take on the role. And in response, Ed Boon showed his interest in making Terry Crews’ dream come true. The unfortunateness of this is that fans took this as confirmation that Sonya Blade’s Special Forces buddy will be appearing in the game, which prompted Ed Boon to ease everyone’s misplaced excitement. The situation seems plausible IF Jax appears in MK11. If not, the door is open for him to appear as part of what-may-come DLC content. Terry Crews currently appears in the Microsoft game Crackdown 3 so the likelihood is there. We just have to sit back and see how, if any of it, unfolds.